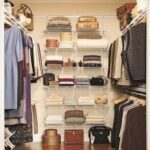 Before beginning this stage of the project, see How to Build a Closet. 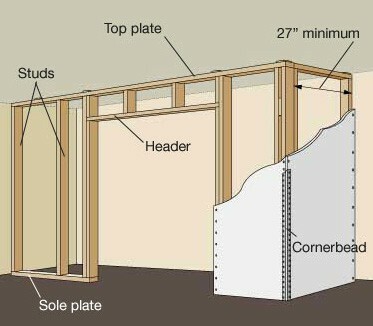 Assemble the plates and studs for the framing of each wall on the floor and then tilt the walls up into place, framing each wall according to the drawing below. So that you can tilt it up, the wall must actually be shorter than the distance between wall and ceiling. Note that the sole plate has been cut out where it spans the door’s opening—you will cut this after erecting the wall. 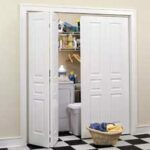 The rough opening for the door requires a king stud and a trimmer stud on each side, a header across the top, and cripple studs between the header and top plate. 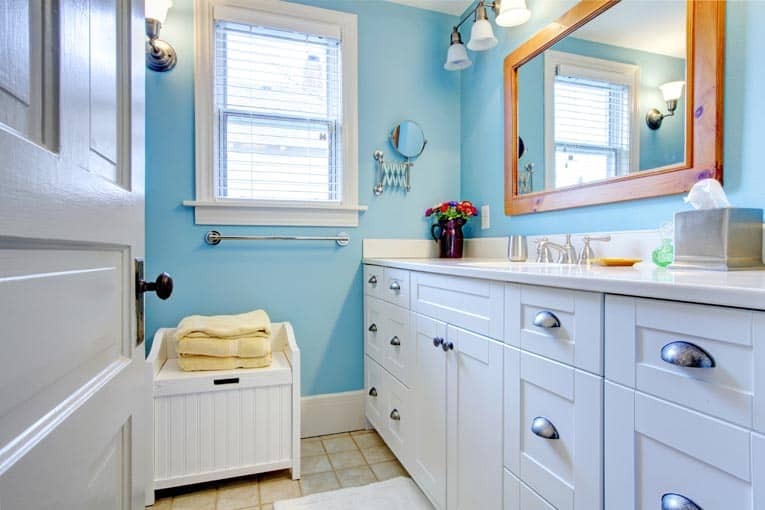 Cut the full-length studs to a length equal to the ceiling height minus 3 3/4 inches (for the 1 1/2-inch-thick top and sole plates and the needed 1/4-inch clearance). Nail short “cripple” studs into the top plate at appropriate intervals, or, if you have nailed in studs across the doorway, cut these to size. Measure and cut the header, and then nail the header to the bottoms of the cripple studs with 16d nails. Using 8d nails, toenail the header to the king studs. Measure and cut two trimmer studs, and nail one to each king stud with 10d nails in a staggered pattern. You will probably need to adjust the width of the opening by adding a pair of trimmers on one side. 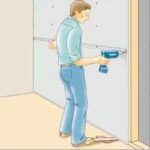 Nail the sole plate in place with 10d nails spaced every 2 feet, except where it runs across the planned doorway. Cut out that area of the sole plate, taking care not to damage any flooring beneath it, and pry the sole plate away from the subflooring or flooring.